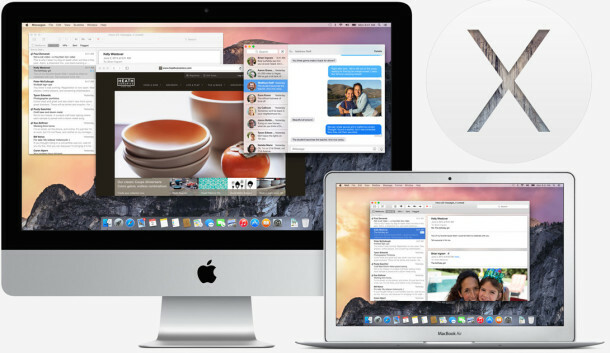 Apple has released the first developer beta of OS X 10.10.2, arriving as build version 14C68K. The notes attached to the OS X Update Seed 10.10.2 download don’t specify any particular focus areas, but presumably the update aims to address bugs and issues that have gone unresolved after the recent OS X 10.10.1 update. Developers registered with Apple can find the OS X 10.10.2 beta 1 update available in Software Update and the Mac App Store, or through the official Mac Developer Center website. Apple has been first releasing the initial developer builds of beta OS X Yosemite releases to those registered with the Mac Developer program, and soon following up with a release to those participating in the OS X Public Beta program for Yosemite. At the moment, the release is only available to developers. Mac users who are neither developers nor part of the public beta program can still provide feedback regarding OS X Yosemite and submit bug reports directly to Apple here, though they won’t be able to test 10.10.2. While no specifics are mentioned in the initial release notes, the seed notes and some user experiences with the first 10.10.2 beta can be found on MacRumors forums. Is there a bold fonts option yet? Does wifi work in this one? Maybe third time is a charm. Os x 10.10.3? Maybe they will FIX the Time Machine app, which runs horridly slow since Yosemite. How can they not test the BACKUP app that is absolutely critical yet release this terrible update? Steve? You still there, at least in spirit? Didn’t think so. You need a real time machine to make using OSX Yosemite’s time machine a viable option. My biggest beef is their VPN flaws, I called support today and was elevated to a very higher up. I gave a detailed bug report, and requested a copy of the original maverics boot until they cleaned Yosemite up. I have felt the pain with Yosemite having had to roll back to Mavericks because of broken wireless. 10.10.1 got off to a shaky start where (on a clean install and blank SSD) I struggled to get past the installation with the wireless failing to contact at the point it asked me to sign in with my iCloud credentials. I finally resorted to an Ethernet cable and upon plugging it in, WiFi miraculously fired back into life(??). It has been stable ever since, so nearly there Apple. On a positive note, 10.10.1 did come out reasonably quickly and 10.10.2 being seeded is also positive news. I think where Apple are falling short is not keeping people up to date. Not even acknowledging that there is a problem. Although the speed in which we have got to 10.10.2 is probably a good indicator that Apple are on it. Still… Wifi is so critical to modern computing nowadays, you would have thought that Apple should have got it right from 10.10.0. My biggest beef is their VPN flaws, I called support today and was elevated to a very higher up. I gave a detailed bug report, and requested a copy of the original maverics boot until they cleaned Yosemite up. Anybody know the size of this new beta update? I just hope they address Time Machine crawling on local USB drives and dying over NAS, both of which worked before Yosemite. No wonder most enterprises do not consider MACs as business computers… cannot even backup, a critical task indeed in this age of information! That and many other bugs are limited to OS X Yosemite, which is really an awfully unreliable beta version that has been dumped onto the public. We use Macs for critical tasks all the time, none of which have Yosemite installed. My entire office is staying on OS X Mavericks until things get worked out, which I’m guessing won’t happen with Yosemite at all, Probably a lot like Lion, where a whole separate OS called Mountain Lion was the solution. So if you have real work to do, you know, like most of us tech people, OS X 10.10 is never going onto a production machine. We have Macs running OS X 10.10.1 and OS X 10.10.2 (beta) for testing purposes, and they are full of problems, wi-fi issues to network failures, the blurry font thing which bugs half the office and not the other half, just critical components of an OS that just plain don’t work or are a nuisance. We can’t take it seriously, got work to do here. So they are there to test, not to use in a serious manner. At best, OS X 10.11.2 will likely be the next major update for all Macs on OS X 10.9.5 at the moment. We simply don’t have the time to manage a buggy OS, who does? Totally agree. Computers have become expensive appliances and tools and no one who actually works wants to spend hours/day/weeks trolling forums for tricks to fix the inherent bugs. This is Linux thinking and why it was never adopted by the masses, even though OS X is based on this operating system with a pretty UI. I want Time Machine to work again!